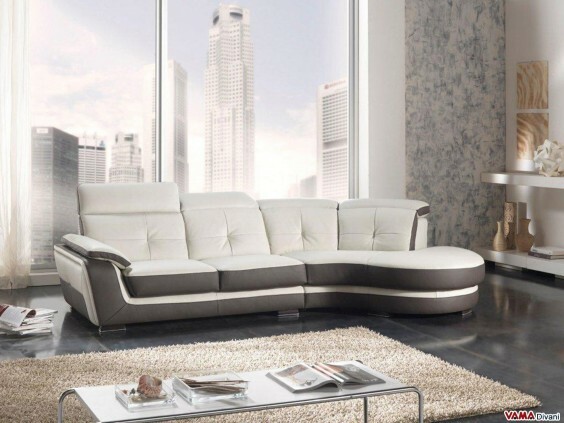 Contemporary sofa with rounded corner upholstered in cream and dove grey leather and with a large chaise. 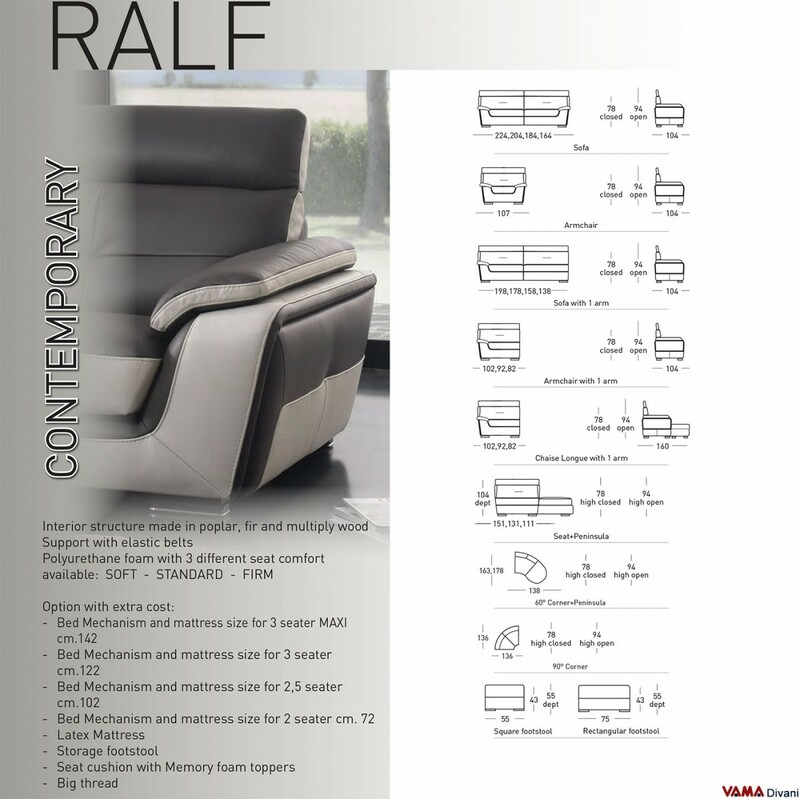 Ralf is a sofa characterised by an original and bold design. 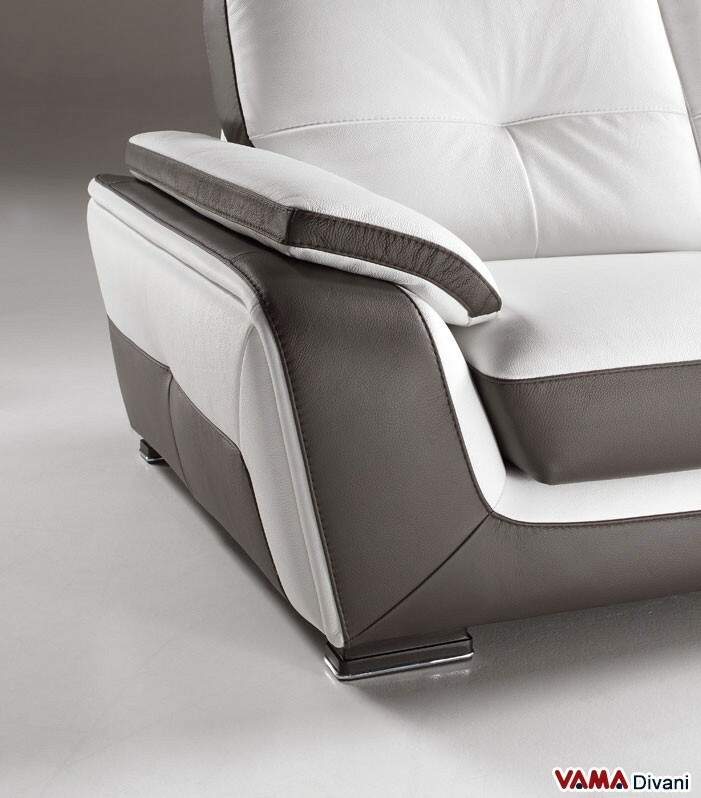 It is very comfortable thanks to its soft and reclining headrests, thus, it can create many exciting design solutions. Originality is the key feature of this wonderful corner sofa, 316 x 178 cm long, but that can be ordered in any customised size. 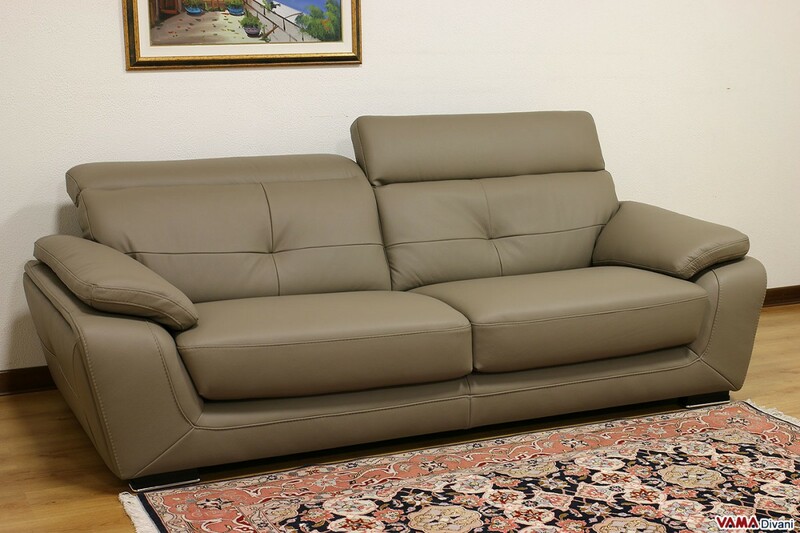 Ralf is a contemporary sofa upholstered in leather with half-round corner, a very stylish detail to improve the comfort of those who sit on the corner seat. 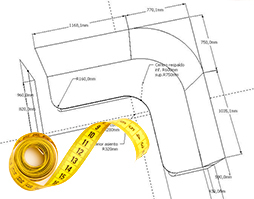 The special features that make this sofa very interesting are: the large chaise, the original design of its arms, the wooden feet in a wenge colour and the pretty seams made on its upholstery. 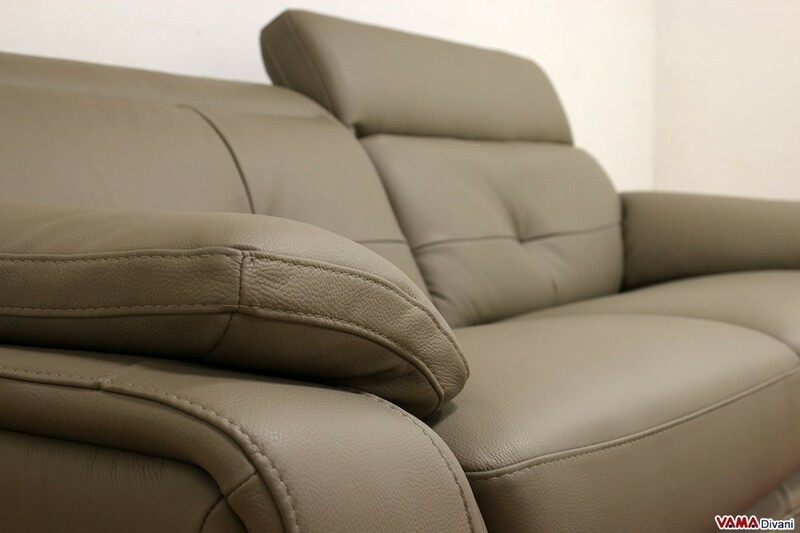 The comfort of the corner Ralf sofa is highlighted by its very comfortable reclining headrests. If you want to create a real comfortable area, without losing style and design, the contemporary Ralf sofa is perfect for you, thanks to its particular shape, moreover, this sofa allows you to place it anywhere in the room to be furnished.